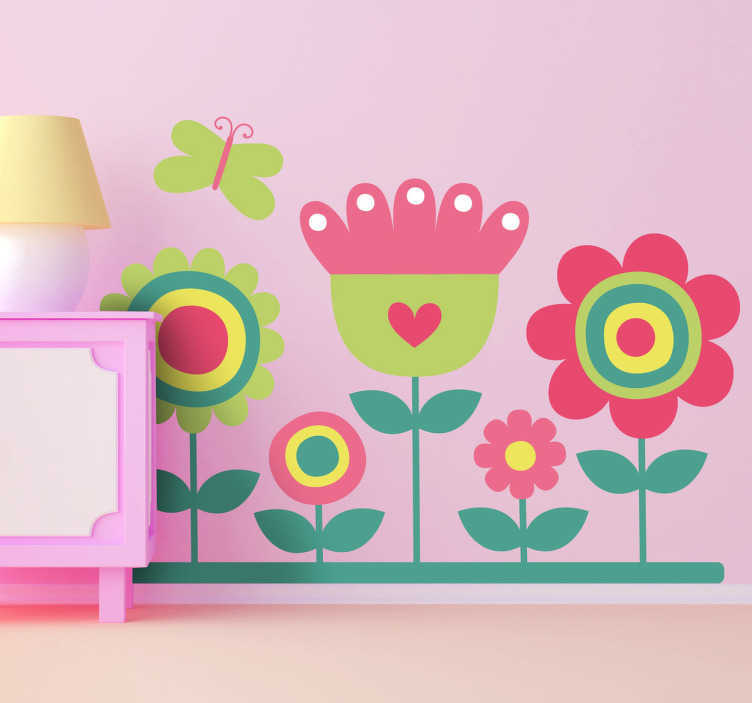 Kids Flower Stickers - Illustration of five colourful flowers with a butterfly hovering over. Looks great as a kids bedroom sticker or as a nursery wall sticker. Creates a fun atmosphere for kids and brings a beautiful garden straight to their room. Our high quality stickers are easy to apply and leave no residue on removal.